Bridal shows are an important experience to have the opportunity to network, share interests and to enjoy an evening out of all the latest bridal trends. We are so excited to be a part of this year’s upcoming shows! Which wedding fairs will you be headed to? The most popular time to get engaged is during the holidays, which means that’s when bridal show season happens! Every year we go to be where the brides are around Cleveland. Here are the shows we’ll be attending in 2013! “Not the traditional bridal show!” This show has a unique concept for the bride that is looking for the best. Brides will enjoy artistic cake displays, contemporary bridal fashions, and talk with bridal consultants. This show is huge with over 200 exhibitors for everything you need, from jewelry and flowers to limos, entertainment, food, favors and photographers! Meet with professional wedding vendors in all categories and enter to win amazing prizes like a Jamaican honeymoon or zipline adventure! The area’s most exclusive bridal event! Featuring the Ritz white-glove experience, complimentary valet, champagne and dessert, giveaways and discounts! 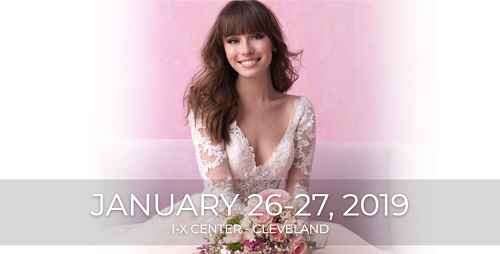 Cleveland brides, the time is here….bridal shows! Come out and meet your vendors face to face. Interview for that one last wedding vendor opening you have. See what Cleveland wedding vendors have to offer, who you gel with, and who speaks your language! 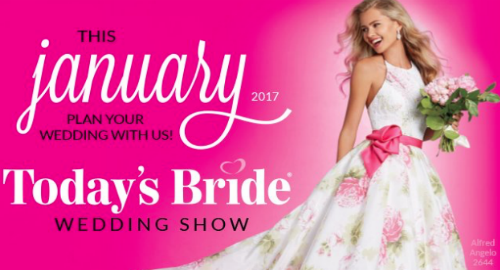 Sunday, Feb. 6 – The Bertam Bridal Show 1-5 pm. The Bertram Inn is in Aurora. More Info. Saturday, Feb. 19 – Club at Hillbrook 11 am – 3 pm. Club Hillbrook is located in Chagrin Falls. Meet and greet with over 25 vendors including musicians, photographers, hotels, floral designers, hair and makeup stylists, dress shops, rentals, invitations and stationery, and bakeries. Brides – bring your friends! Sunday, Feb. 27 – Shoreby’s Bridal Boutique show, 1-4 pm. The Shoreby Club is in Brattenahl. More Info. Sunday, Mar. 27 – A Wedding for All Seasons Bridal Show at Sheraton Suites in Cuyahoga Falls, 1-4 pm. More Info.